Veteran Complained to Lowe's After Discovering That They Were Selling American Flag Doormats-Truth! but Inaccurate Details! - Truth or Fiction? Veteran Complained to Lowe's After Discovering That They Were Selling American Flag Doormats-Truth! but Inaccurate Details! Veteran Complained to Lowe’s After Discovering That They Were Selling American Flag Doormats-Truth! but Inaccurate Details! This a forwarded email that said that a Charleston, SC outlet of the popular hardware and home improvement retail chain, Lowe’s, were displaying doormats on the sales floor that allegedly looked like the American Flag. 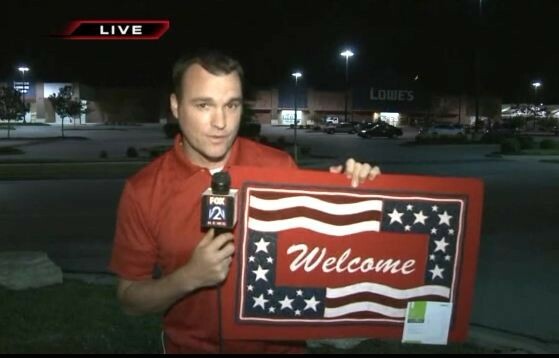 There were complaints raised by John F. Kelly, a local veteran of St. Louis, MO, after he discovered American flag doormats were being displayed at his hometown Lowe’s home improvement store. This according to a May 25, 2012 article by St. Louis Fox affiliate KPLR-11TV. According to video found on the KPLR web site the door mats appeared to have been designed from elements of the national ensign. The doormat itself was not the image of an American flag but instead showed parts from the famous stars and strips bordering around the word “Welcome.” The article also said that the questionable doormats were pulled from the sales floor local store that day but other stores in neighboring areas were still selling them. Our TruthOrFiction.Com team visited a Lowe’s in Long Beach, CA and found some other patriotic themed doormats on the sales floor but when we asked a sales clerk about this particular doormat she told us they had pulled them from the store. 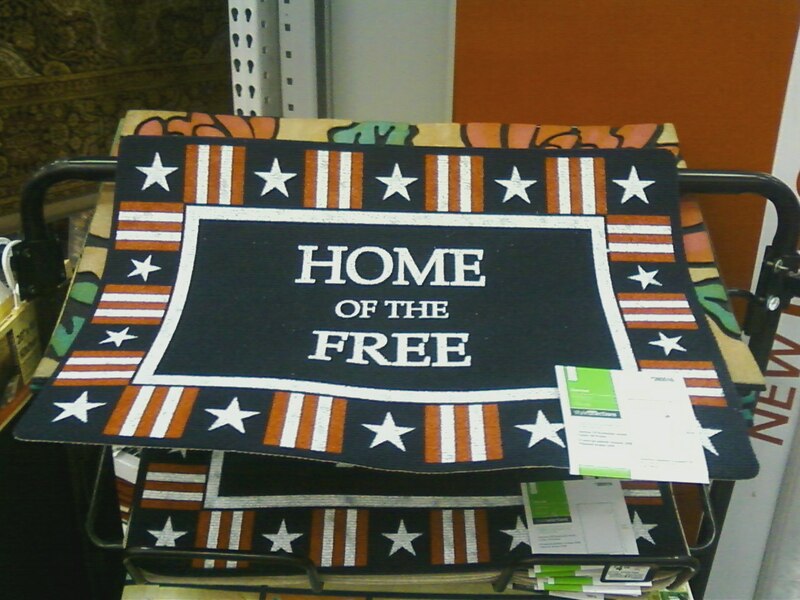 Other patriotic themed doormats on display at Lowe’s still on the sales floor as of June 5, 2012. 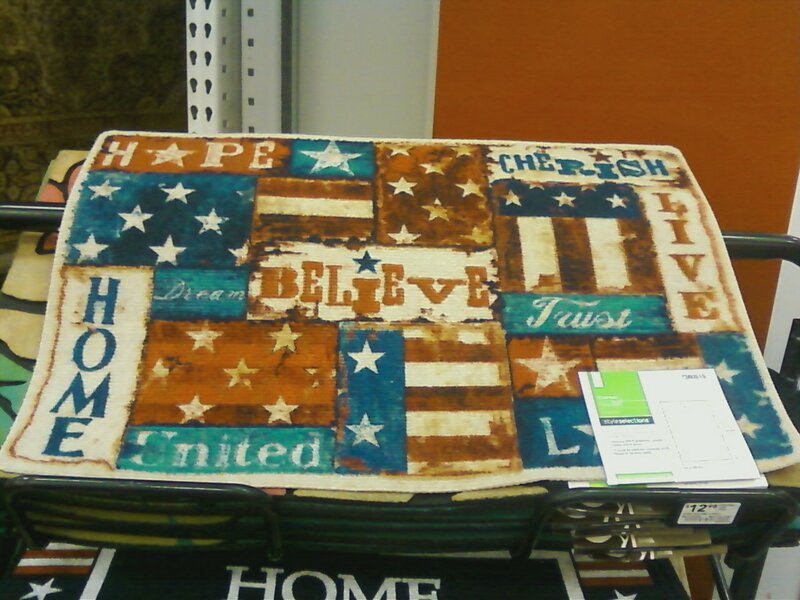 Lowe’s is now selling American flag doormats. As Memorial day just passed and the 4th of July is approaching, many stores are trying to increase their profits. Needless to say, the selling of American Flag doormats has many Veterans upset. Veterans feel that they fought for the American Flag, many losing their lives, and many permanently injured for the freedoms that the American Flag represents, yet Lowe’s is now selling the American Flag as a doormat, “something to be walked on, and something to wipe your feet on”, as one veteran put it. “Are they slapping our faces, or what?”, asked another veteran. The V.F.W, the American Legion, and several other organizations were immediately contacted. A veteran with 33 years in the U.S. Navy, had gone to Lowe’s to buy $300.00 worth of lumber to build a fence, but when he saw the American Flag doormat, he flipped out, made Lowe’s take back the lumber and refund his money. Several others walked out of the store. At the Lowe’s in N. Charleston , SC , the manager took all the doormats off of display because of complaints, and called Lowe’s headquarters to report the consumers’ and veterans’ complaints. Those who grew up respecting the American Flag, and those who fought to defend it, would never let the American Flag touch the ground, much less use it as a doormat, to walk on or wipe your feet on! Most likely these doormats are made in China , but they are distributed by: Mohawk Home 3032 Sugar Valley Rd., NW Sugar Valley, Georgia 30746. Please pass this on to as many people you can. Some of us still respect and love America and our Flag, and what it represents! The World's Most Expensive Coffee is From Beans Cycled Through an Indonesian Monkey's Digestive System-Truth! MTV “12 and Pregnant” Show-Fiction!